The Maison du Bel-Âge non-profit was created through the initiative of the Knights of Columbus Council 2800 in Dolbeau, whose primary goal is to “help the elderly” in the area. The Maison du Bel-Âge includes two branches: the non-profit and the intensive home support section. 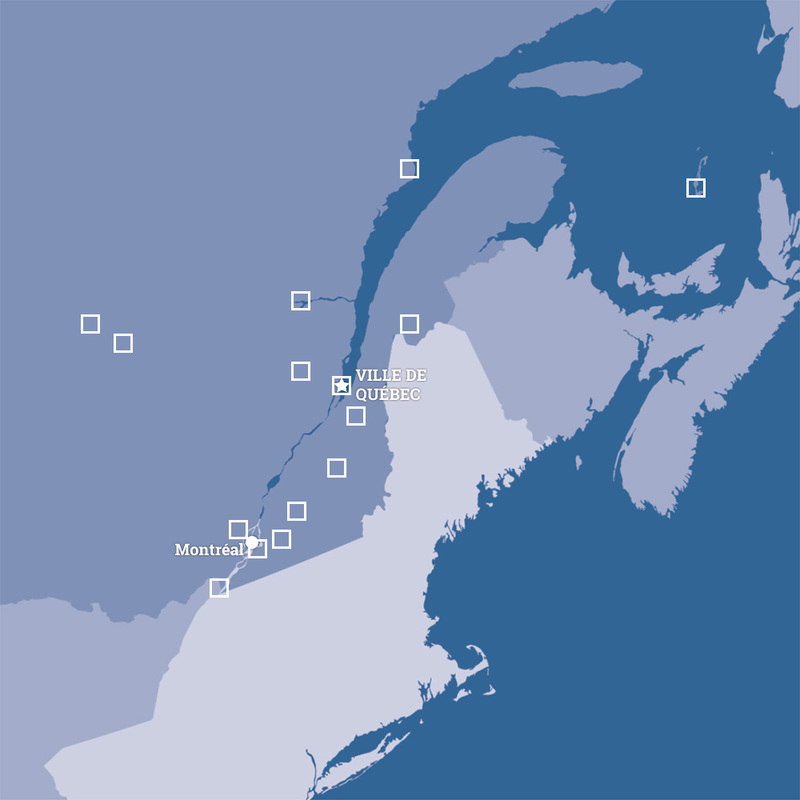 The intensive home support branch is operated in collaboration with the CIUSSS Dolbeau-Mistassini in a private-public partnership since 2006. Within this branch, the Maison du Bel-Âge offers housing services, meals and basic care (orderlies) while the CIUSSS offers professional services (nursing, physical rehabilitation therapist and ergotherapist, etc). 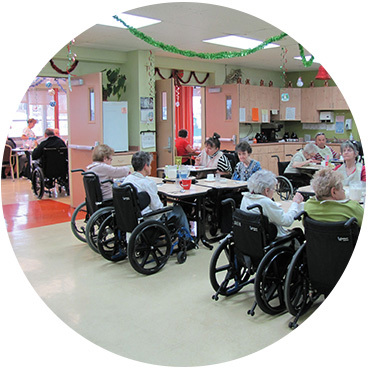 The intensive home care option allows seniors with loss of physical autonomy (profile iso-SMAF-9) to live in an environment adapted to their condition. The project is unique insofar as it overcomes the lack of resources for seniors who have health problems and often little support. The agreement with the CIUSSS allows for on-site care services, which eliminates the need for hospitalization in many cases or delays the need to enter a CHSLD. 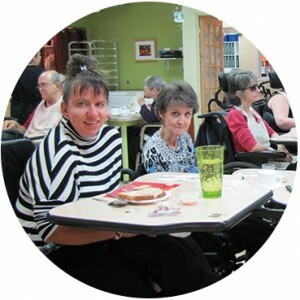 The nurse and orderlies plan activities related to welcoming, entertainment and socializing and they coordinate a team of volunteers who organizes activities such as bingo, bowling, etc. There is also excellent collaboration with volunteers of the Hospital Auxiliary, who give their time and provide financial assistance for the purchase of accessories for the well-being of residents, such as the buying of activity tables. This committee is composed of residents, family members, volunteers from management and three members of the board. It informs residents, assists them in their activities and helps improve the quality of life in the residence. This committee is consulted regularly. Furthermore, a Code of Ethics clarifies the rules of conduct for all residents and workers at the Maison du Bel-Âge. All activities are offered to all residents. The Bel-Âge Foundation is composed of an independent board of directors who manage the funds collected and the interest, which goes to the Maison du Bel-Âge. The Foundation thus supports various activities such as Christmas dinner or specific needs, such as buying automatic door openers. It also offers residents free taxi transportation to the downtown mall twice a week.